I do my best to answer every letter! Click here for details on my latest film projects featuring some of your favorite stars! Since I can't personally meet all of you wonderful fans, I'm working with CelebVM.com and Cameo.com to offer personalized video messages! You can choose whether the video is for you or a gift for someone else, and if there is anything special you'd like me to say. Learn more at CelebVM.com and Cameo.com! Don't miss Y&R this week as we say farewell to Neil Winters. Thirty seven years ago today I said my first line on Y&R: "Mrs. Chancellor, dinner is served." Thank you to all the loyal fans for your support. I'm so honored to be part of this amazing show. I'll be hosting the 6th Annual Calgary OpportuniTea High Tea on Sunday, April 14, to benefit March of Dimes Canada along with my Y&R co-stars Christian Le Blanc (Michael), Bryton James (Devon) and Beth Maitland (Traci)! In addition to tea, there will be an autograph session, Q&A, gift bags, a raffle, and much more! Click here to order your tickets today! My 7th Annual OpportuniTea Toronto event was a great success! Thank you for your support of March of Dimes Canada's Conductive Education® program! It was wonderful to meet all of you, and I can't wait to return next year! Order a personal video message from me through Cameo.com and use promo code katelinder20 to save 20%! Offer good thru Dec 24. Visit Cameo.com or download the Cameo app! This Saturday I'll be the Grand Marshal of the Lupus Foundation of America's #WalktoEndLupusNow. Join me and be part of the movement to end this brutal disease. Here's to another 20, Vancouver! I can't thank you enough for making my 20th Annual Revera Royal City Manor Vancouver Tea such a success! With your help, we were able to raise an amazing amount of money for the Canucks for Kids Fund. It was wonderful to meet with all of you and I can't wait to come back next year! Can you believe it?! This year marks the 20th anniversary of my Afternoon Tea in Vancouver! On Sunday, July 15, join me and my Y&R co-stars Christian Le Blanc (Michael), Jess Walton (Jill), Doug Davidson (Paul), Marla Adams (Dina), Abhi Sinha (Ravi) and David Lago (Raul) for tea, Q&A and autographs, with proceeds benefitting the Canucks for Kids Fund. Tickets are on sale now! This summer I'll be starring in "Desperately Seeking Love," a play about six lonely hearts from differing backgrounds trying to find love in quirky and comedic ways. Join us on Fridays from June 29 - August 3* at the The Whitefire Theatre in Sherman Oaks! Get tickets here. *Due to the Vancouver Tea, I will not appear in the July 13th performance. Today marks the 45th anniversary of Y&R. I am so thrilled and honored to be part of this amazing show! I'll be hosting my 5th Annual OpportuniTea Calgary High Tea on Sunday, April 8, to benefit March of Dimes Canada along with my Y&R co-stars Christian LeBlanc (Michael), Abhi Sinha (Ravi), and Judith Chapman (Gloria)! In addition to High Tea, there will be an autograph session, Q&A, gift bags, a raffle, and much more! Click here to order your tickets today! This year National Conductive Education® Day falls on February 15, and as the CE Ambassador for March of Dimes Canada I'm excited to also tell you about Kate's Club! Members receive a quarterly newsletter from me, an autographed photo, and an invitation to meet me before the annual OpportuniTea event. Plus, you'll support CE participants and help change people's lives! Join my club at marchofdimes.ca/katesclub or contact Margaret Purcell at mpurcell@marchofdimes.ca for more information. Win a Y&R set visit hosted by me! You and a friend will have the time of your life when you get an exclusive behind-the-scenes tour of the Y&R set guided by me. This magical experience is up for bid right now on CharityBuzz.com with proceeds benefiting ALS research. Click here for more details and to place your bid! Instead of watching the stars, play with the stars at the Golden Globes Night City Summit Celebrity Poker Tournament on January 7! I hope to see you there! Join me and some of your favorite stars from Y&R, General Hospital, and Days of our Lives at the 19th Annual Soapfest in Marco Island, FL on May 25-28, 2018. Spend an unforgettable weekend with us while raising money for children's charities in southwest Florida. Click here for event details and tickets. I can't thank you enough for making my 6th Annual OpportuniTea Toronto event a huge success! With your help, we were able to raise over $75,000 for March of Dimes Canada's Conductive Education® program! It was wonderful to meet all of you, and I can't wait to come back next year! Thank you to all the Y&R fans for making The Young and the Restless TV's #1 Daytime Drama for 1,500 consecutive weeks! I'm so proud and honored to be part of this incredible milestone. I was so happy to be part of the festivities today for Jess Walton, who is celebrating 30 years on The Young and the Restless as Jill Abbott! Don't miss this extended interview with Steven Brittingham at Hollywood and Beyond where we discuss 35 years of memories from The Young and the Restless. Here's to 20 more, Vancouver! Thank you so much for making my 20th Annual Afternoon Tea in Vancouver such a success! With your help, we were able to raise an amazing amount of money for the Canucks for Kids Fund to support children's health, wellness and education in British Columbia! I so appreciate your loyalty and generosity year after year, and I can’t wait to see you all again next summer! It is with a heavy heart that I share with you that my dear husband Ron passed away Monday night. To the world he was an author, an educator and an innovator, but to me he was the love of my life and will forever be missed. Donations in honor of Ron can be made to the Ronald Linder Memorial Fund at the ALS Association Golden West Chapter. I'm so excited to be hosting my 20th Annual Afternoon Tea in Vancouver on July 16 to benefit the Canucks for Kids Fund! We have an amazing lineup of Y&R stars for this milestone event, including Christian LeBlanc (Michael), Daniel Hall (Scott), Bryton James (Devon), Mishael Morgan (Hillary) and Melissa Ordway (Abby)! In addition to High Tea, there will be an autograph session, Q&A, gift bags, a raffle, and much more! Tickets are on sale now! May is Osteoporosis Month, so I took the #JumpingJackChallenge to support the National Osteoporosis Foundation. Now I challenge you! Post a video on social media of yourself, your family or friends doing 10 jumping jacks in less than 10 seconds, or make a donation to the National Osteoporosis Foundation to help raise awareness about skeletal health. Congratulations to our Y&R Daytime Emmy winners Gina Tognoni, Steve Burton and the writing team! Celebrating 35 years on Y&R! It's hard to believe that it was April 1982 when I delivered my first line as Esther, "Dinner is served." I am so proud and grateful for 35 amazing years (and counting!) on The Young and the Restless. Thanks to Soaps In Depth for these photos from my on-set party with the Y&R cast and crew. I can't thank you enough for making my 4th Annual OpportuniTea Calgary Afternoon Tea such a success! With your help, we were able to raise an amazing amount of money for March of Dimes Canada's Conductive Education and Peer Support Programs in Calgary. It was wonderful to meet all of you and I can't wait to come back next year! Tickets on sale now for OpportuniTea Calgary! Join me, Christian LeBlanc, Tracey Bregman, Elizabeth Hendrickson and Bryton James for Tea on April 2 at The Westin Calgary in support of March of Dimes Canada's Conductive Education and Peer Support Programs in Calgary! Get your tickets before they sell out! Go behind the scenes of our epic CBS Daytime Class Photo, which is featured in the new issue of People Magazine. Can you spot me? I'll be discussing these important topics with Eric Zuley this Saturday at 1pm PST on EZ TALK LIVE. Watch us live on Facebook or listen later at VoiceAmerica.com. Wishing everyone a very happy, healthy, and prosperous New Year! May this be the best one yet for us all! Kick off the holiday season by supporting a worthy charity on Giving Tuesday, like The ALS Association, Trish's Angels, or Penny Lane. 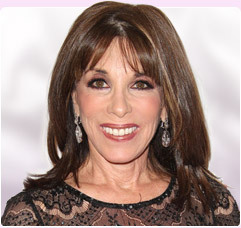 I'm honored to be a Celebrity Hero at the Elizabeth Glaser Pediatric AIDS Foundation’s "A Time for Heroes" event! Join me on Sun, October 23 in Culver City for a musical performance, lots of family fun and tasty treats! Learn more and purchase your tickets to help us end AIDS in children! Watch me take the ALS Ice Bucket Challenge, and then join me in the battle against ALS, also known as Lou Gehrig's disease. Every act – no matter how large or small – that brings awareness and resources to the fight against this disease adds up and brings us closer to a world without ALS! To learn more or to donate, visit alsa.org. Thanks to all of you loyal and devoted fans, we are celebrating the 11,000th episode of Y&R on Sept 1! Take a look at some of my favorite Y&R moments, and don't miss Esther on today's 10,999th episode! I can't thank you enough for making this past weekend's Vancouver High Tea such a success! With your help, we were able to raise an amazing amount of money for the Canadian Cancer Society. It was wonderful to meet with all of you and I can't wait to come back next year for our 20th anniversary! I said my first line on Y&R, "Mrs. Chancellor, dinner is served," 34 years ago today! To celebrate, CBS Soaps In Depth has put together a gallery highlighting some my classic moments playing Esther. Since I can't personally meet all of you wonderful fans, I'm working with CelebVM.com to offer personalized video messages! You choose whether the video is for you or a gift for someone else, and if there is anything special you'd like me to say. I film my message and CelebVM delivers you the video, which is yours to keep forever! Learn more at CelebVM.com! Don't miss the Hollywood Christmas Parade TONIGHT on the CW at 8pm/7c! I'll be there along with some of my Y&R co-stars! Thank you to the Toronto fans! Thank you so much for braving the cold to make my 4th Annual "OpportuniTeas for Independence" High Tea such a success! Because of your generosity, we were able to raise an amazing amount of money for March of Dimes Canada's Conductive Education program. I hope to see you all again next year! Today is #‎DayForTheBrave! Join me in helping to raise $1 million in 24 hours for veterans! Please consider making a donation of any amount in honor of those who have served our country. I'm honored to be a presenter at this year's PRISM Awards, which recognizes authentic storytelling of mental illness and substance use issues in TV and movies. The ceremony will be broadcast this Sunday, Oct 25, on Pivot TV, or you can watch online at EICnetwork.tv. Come golf with me and other celebrities at the Putting for Pups Celebrity Golf Tournament and Gala on September 13. Proceeds will benefit the World Protection for Dogs and Cats in the Meat Trade. For more information or tickets, visit PuttingforPups.com. I can't thank you enough for making my 17th Annual Vancouver High Tea such a success! The event was sold out, and with your help we were able to raise an amazing amount of money for the Canadian Cancer Society. It was wonderful to meet with all of you and I can't wait to come back next year! I'm excited to be in Vancouver for this weekend's Tea. It's our biggest event ever and every ticket is sold out! This morning I stopped by Breakfast Television to talk with the amazing Jody Vance about Sunday's Tea, the Canadian Cancer Society, and funny airline stories. Join me and get your FREE Miracle Band from MyMiracleBand.org in support of Children's Miracle Network Hospitals, and spread the message that local children's hospitals rely on your support to provide life-saving care! This week I was proud to join TV host, actress, recording artist and Children's Miracle Network Hospitals Co-Founder Marie Osmond for a fun-filled day with the inspiring patients of Children's Hospital Los Angeles and Children's Hospital Orange County at The Storybook Suite. Join me and "Put Your Money Where The Miracles Are" and support Children's Miracle Network Hospitals. The Young and the Restless celebrates it's 42nd anniversary today! Thank you to our wonderful fans for your amazing loyalty throughout the past 5 decades! Of course, there's no better way to celebrate than with a party, and that's exactly what we did. This Saturday I'll be taking part in the Susan G. Komen Race for the Cure in Los Angeles because I want to make an impact in the fight against breast cancer. You can help by donating online or joining my Y&R race team, which already includes Camryn Grimes (Cassie), Lachlan Buchanan (Kyle), Melissa Ordway (Abby), and Robert Adamson (Noah). Your support helps us get one step closer to a world without breast cancer. Please join us! I'm thrilled to announce that my new movie, Miss Meadows, is out now On Demand. Katie Holmes plays Miss Meadows, a substitute teacher with a mysterious past, and I play the suspicious school principal, Trudy Navis. This is my biggest film role to date, so I'm really excited for you to see it! Click here to view the trailer. This Saturday, October 11, join me, Redaric Williams (Tyler), and lots more celebs for The A-Maize-ing Race to benefit ALS Research. Celebrities will compete in a Battle of the Network Stars-like obstacle course culminating with the Ice Bucket Challenge. This family-friendly event is open to the public, so I hope I'll see you there! I took the Ice Bucket Challenge and now I challenge YOU to do the same or send a donation to The ALS Association. With your help we can strike out ALS! In this fan's perspective from my Vancouver tea, Christlian LeBlanc and Christel Khalil talk about why the annual event is so meaningful to them. My new movie with Katie Holmes, "Miss Meadows", has been scheduled for a theatrical release this fall. It's a satirical comedy about a prim, tap-dancing schoolteacher (Katie) who moonlights as a vigilante killing criminals. I play the school's principal, Trudy, in what is my biggest movie role yet. I'm so excited for you to see it! I'm very honored by the profile recently posted by The National Academy of Television Arts and Sciences along with their preview of my Vancouver Tea on July 19. Join me Saturday, August 2, for an evening of elegance and entertainment to benefit ALS Patients at the 1st Annual Trish's Angels Gala at the Mission Viejo Country Club. The event includes dinner, dancing, drinks, raffles, and a live auction conducted by yours truly. Every attendee will make a direct difference in the life of a person living with ALS. Order tickets online at trishsangelsals.org/annual-gala/. I was delighted to have the opportunity to share the story behind my High Tea charity events as part of a guest blog for the Canadian Cancer Society. If you've never attended one of my teas, here's a fan's perspective from last year's event, which was held shortly after the passing of Jeanne Cooper. Congratulations to everyone at The Young and the Restless on 26 Daytime Emmy nominations, the most of any show this year! The Hollywood Reporter has a complete list of all the 2014 nominees. My first-ever OpportuniTeas High Tea event in Calgary was a great success, thanks to all you wonderful fans. Our goal was to raise $40,000 for March of Dimes Peer Support Programs Alberta, and I'm proud to announce that we grossed over $45,000! Stay tuned for details about the next OpportuniTeas event coming up in July in beautiful Vancouver!